This unique Digicharge design incorporates a protective pouch to keep your Sat Nav separate and protected from your accessories. The bag has extra padding and a hard wall on the side where the Sat Nav is kept to ensure your device stays safe whilst in the case. 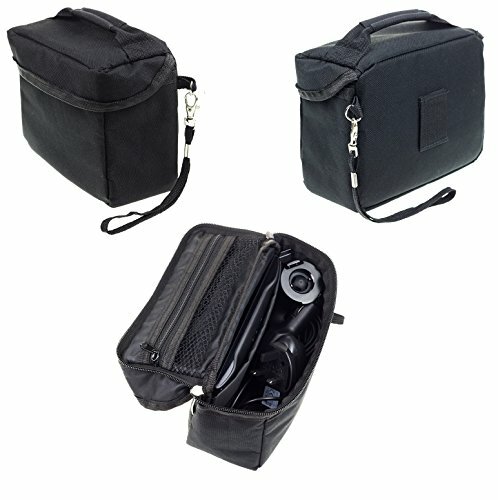 Ideal if you need a case to keep your GPS and all of its accessories together either for storage or travel needs. The case provides the best of both worlds with great protection for your Sat Nav and ample storage whilst remaining flexible which can help with glove box storage. Keeps your Sat Nav protected all around from scratches, marks and dust. Provides your GPS with protection if dropped. Includes carry handle and optional lanyard. Ample Storage for all your accessories.